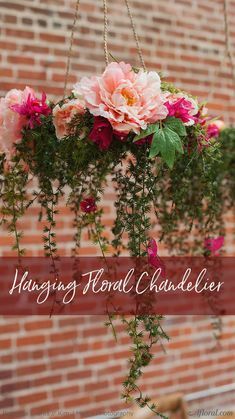 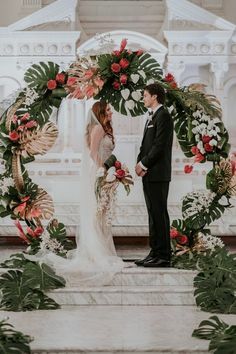 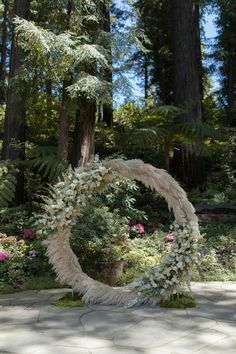 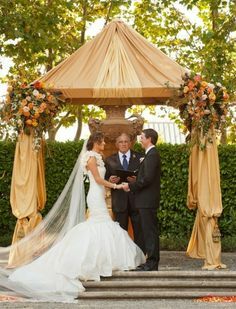 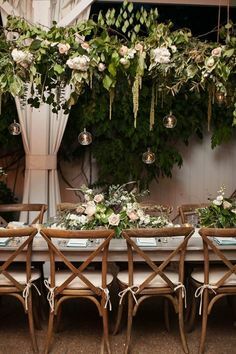 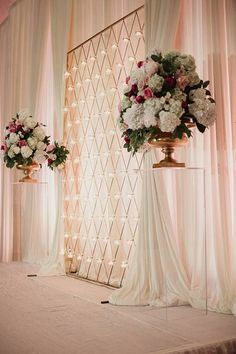 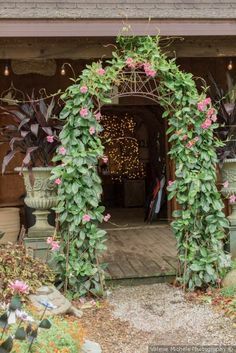 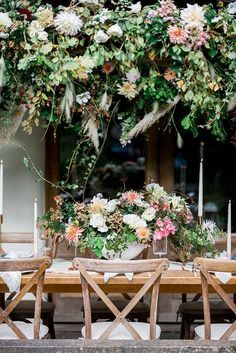 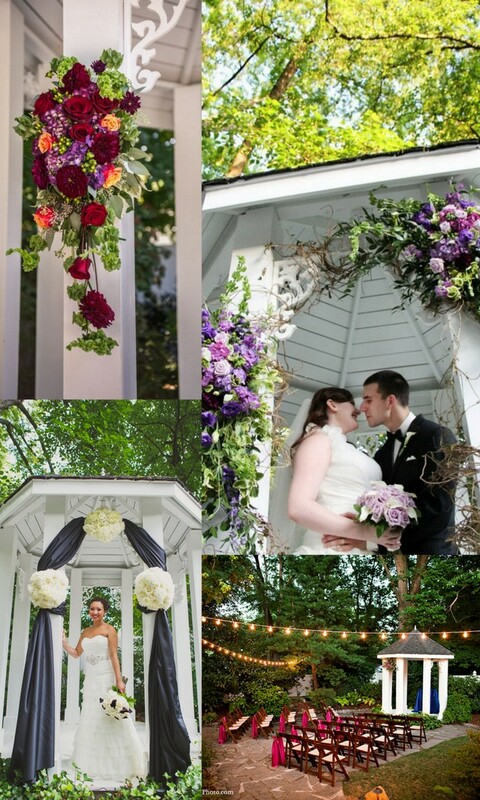 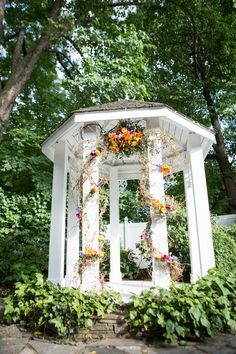 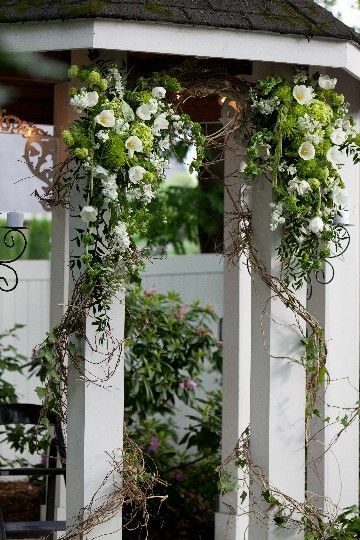 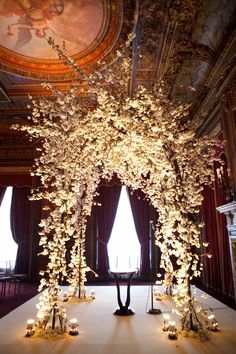 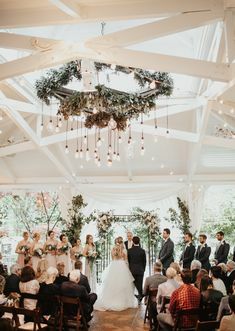 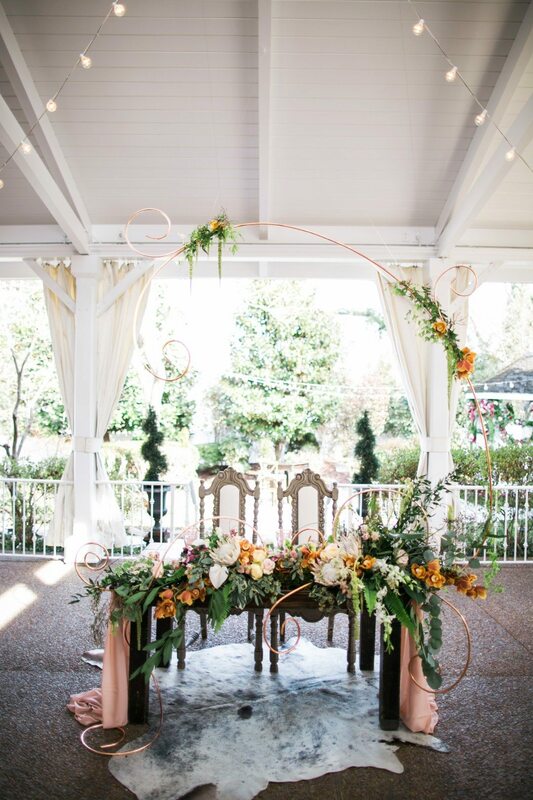 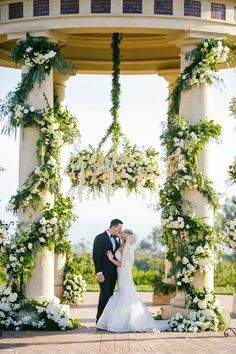 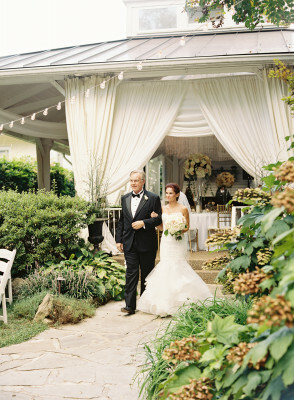 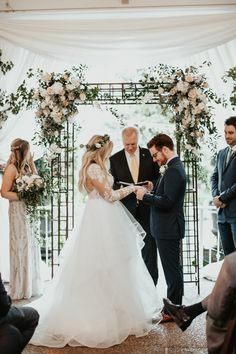 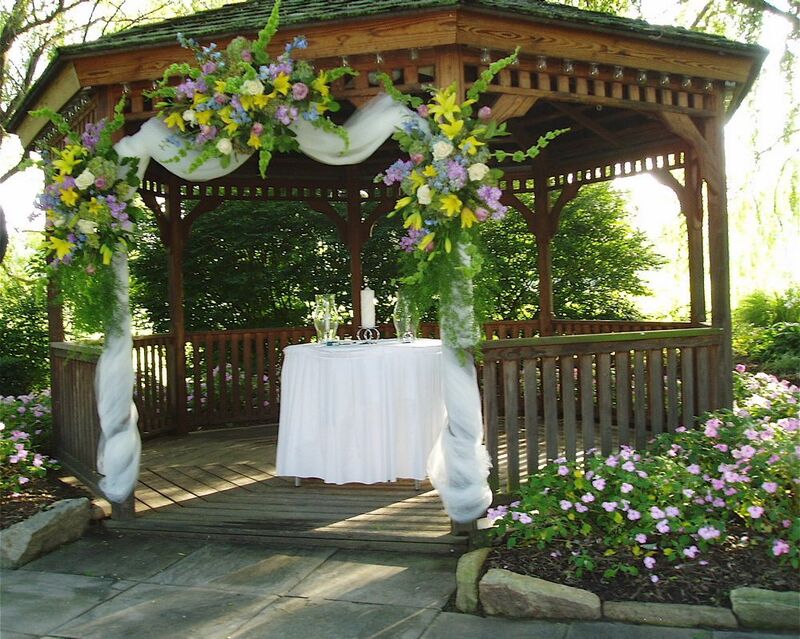 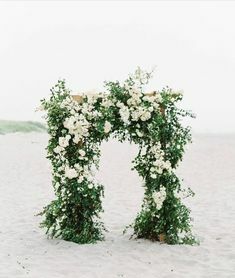 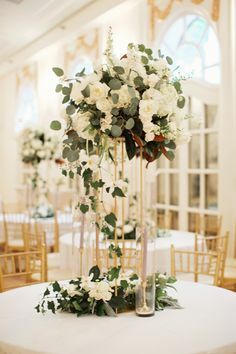 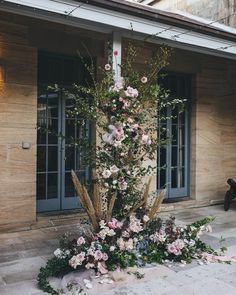 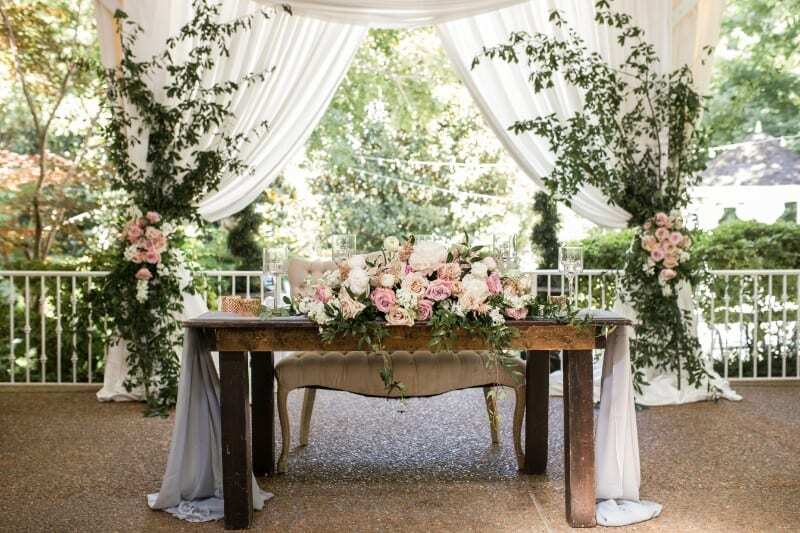 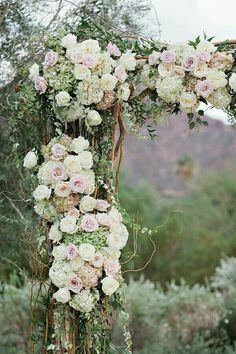 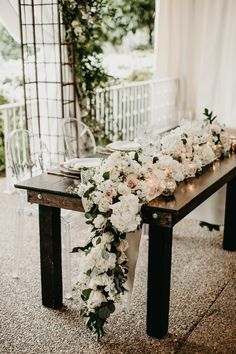 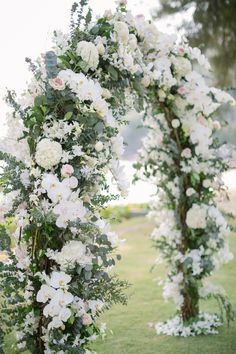 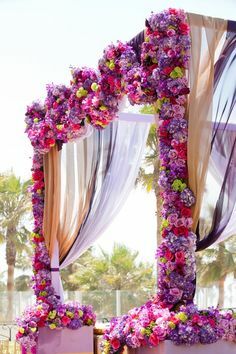 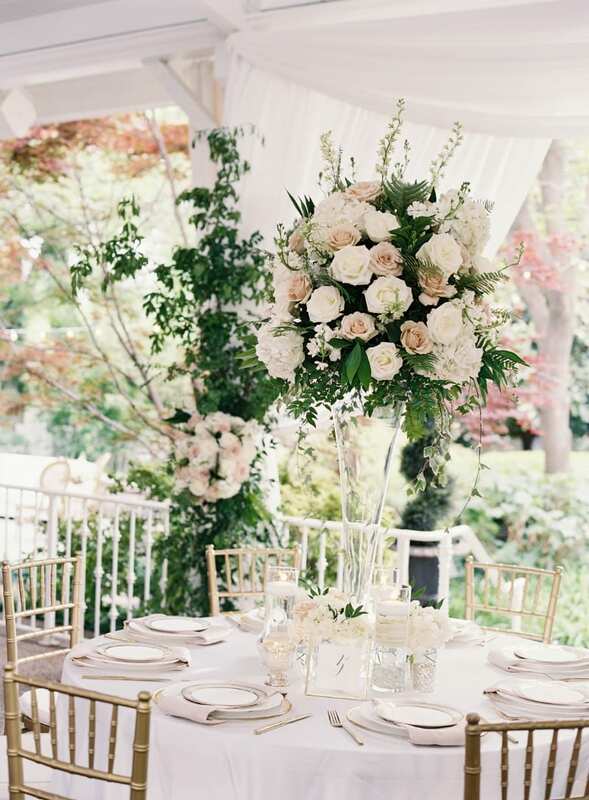 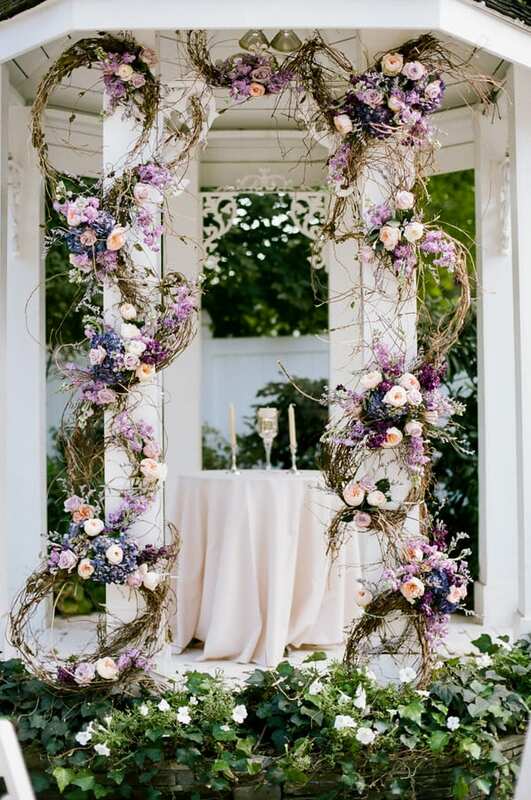 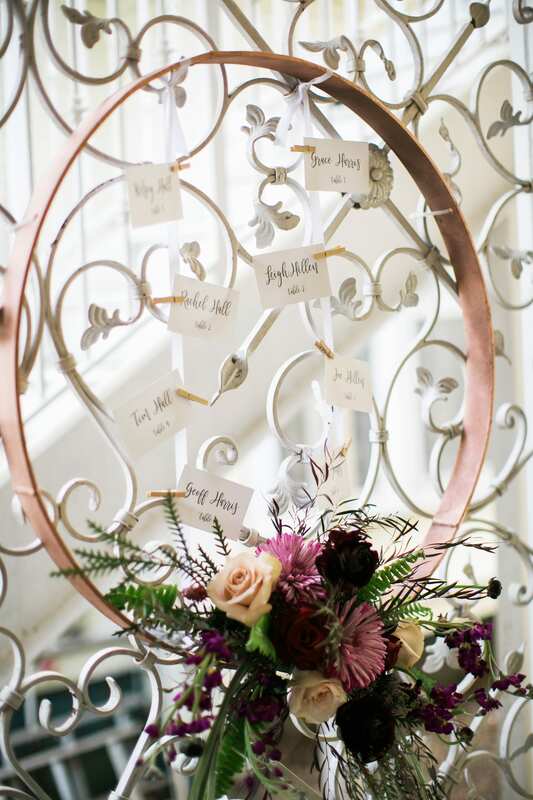 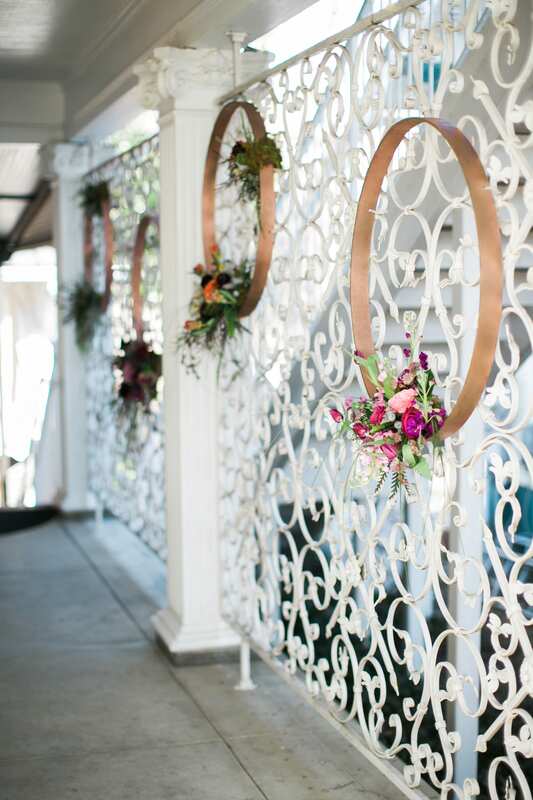 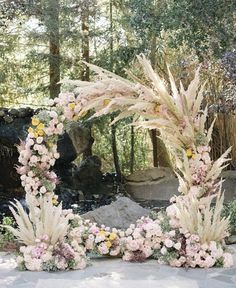 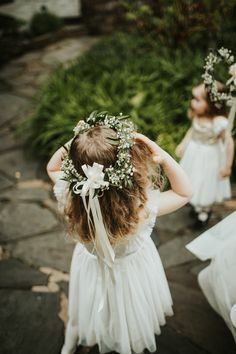 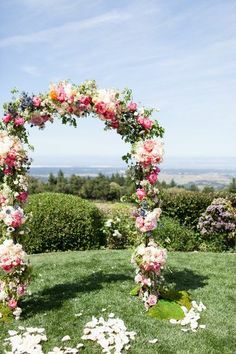 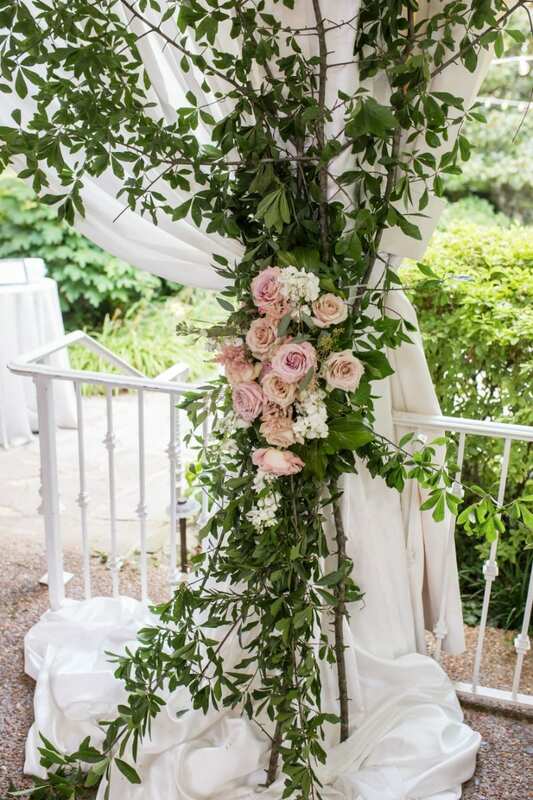 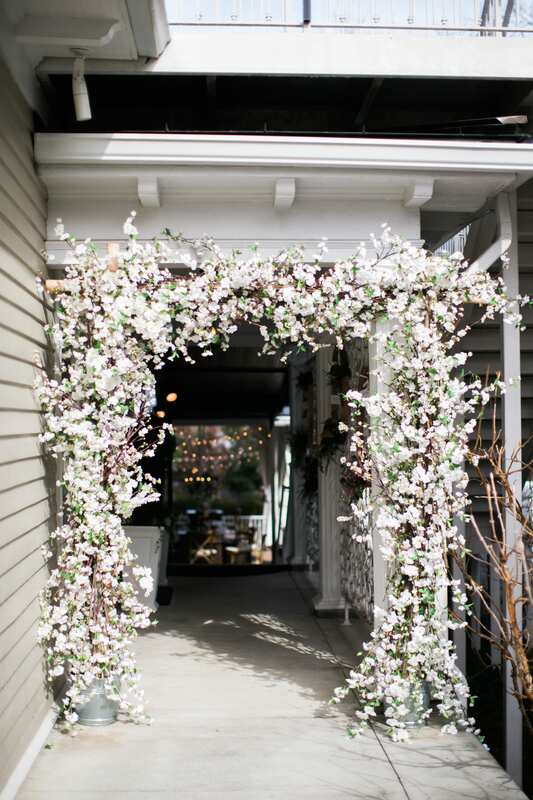 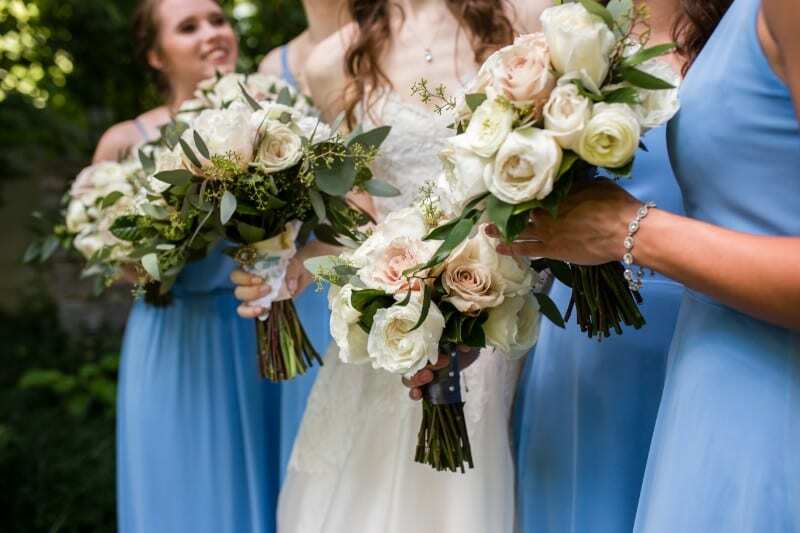 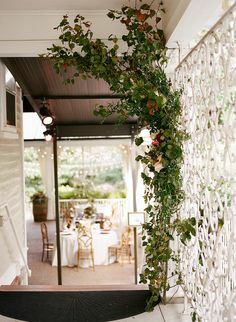 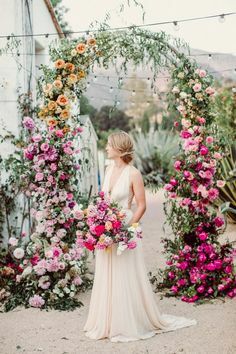 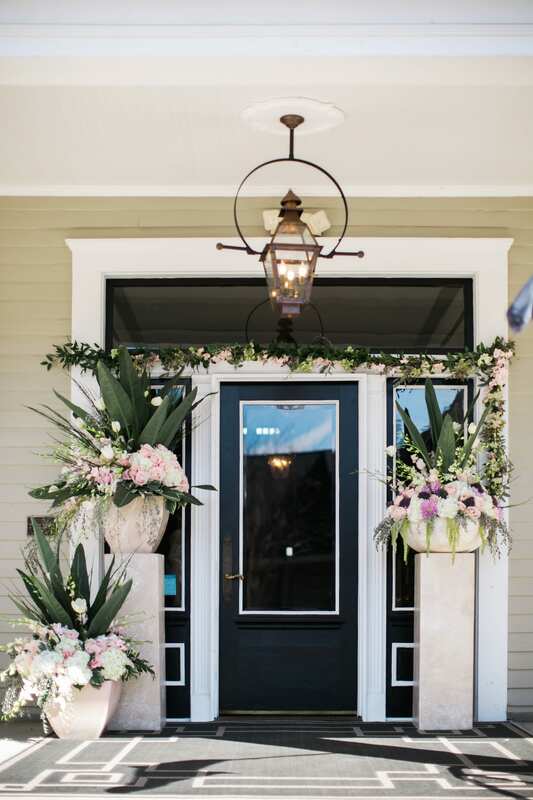 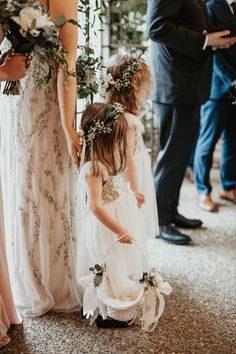 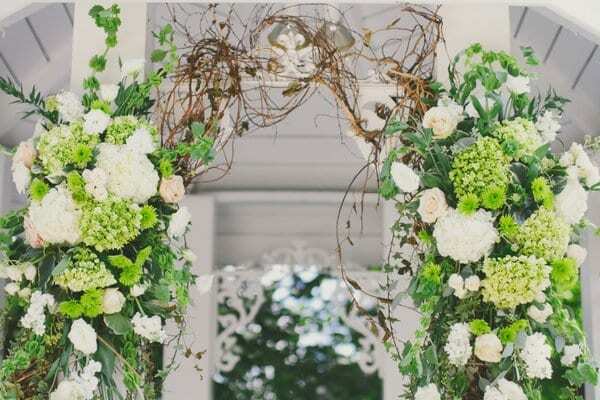 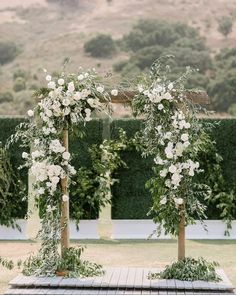 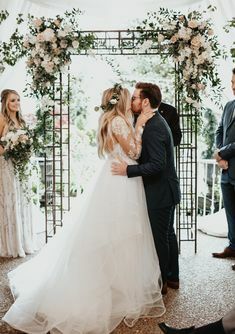 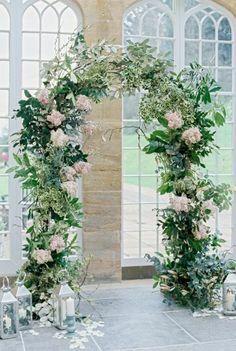 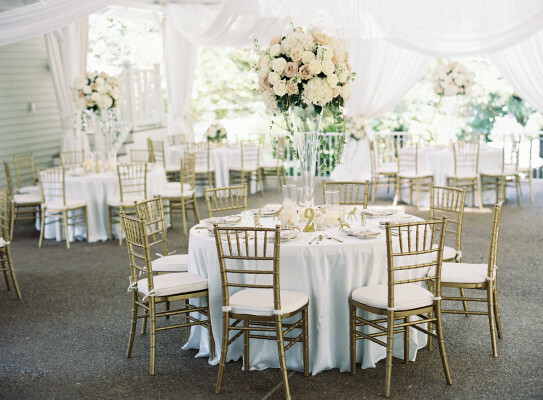 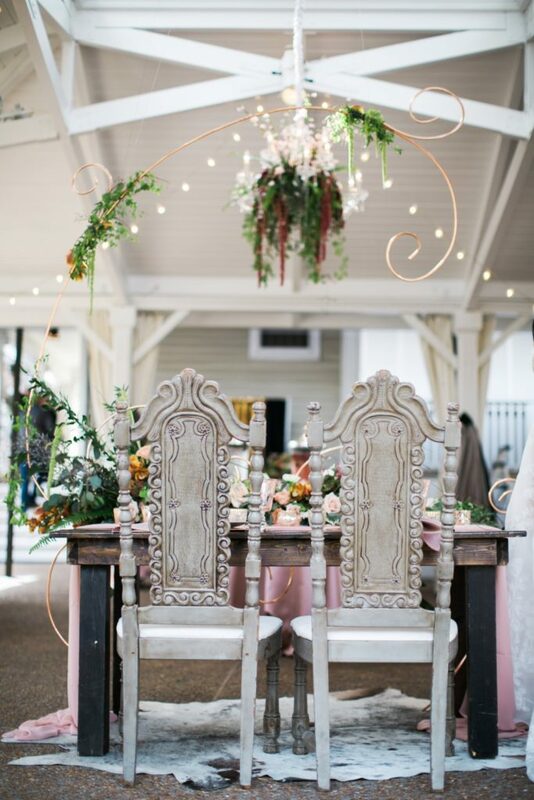 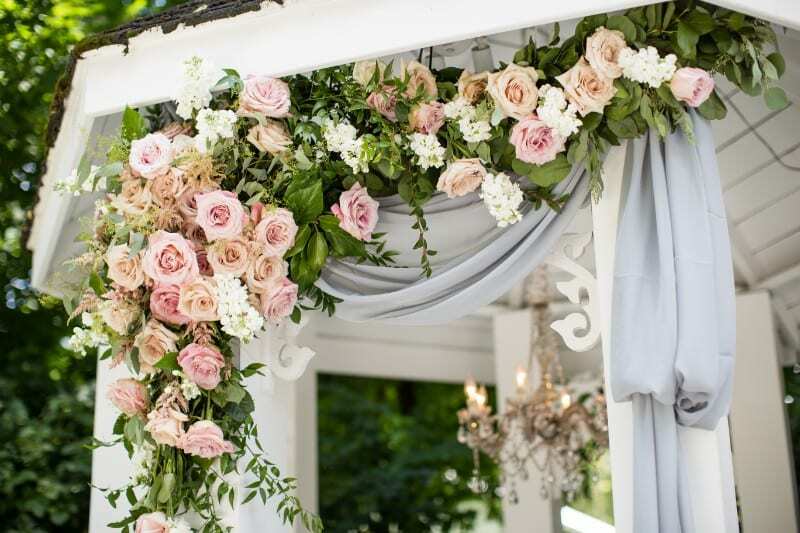 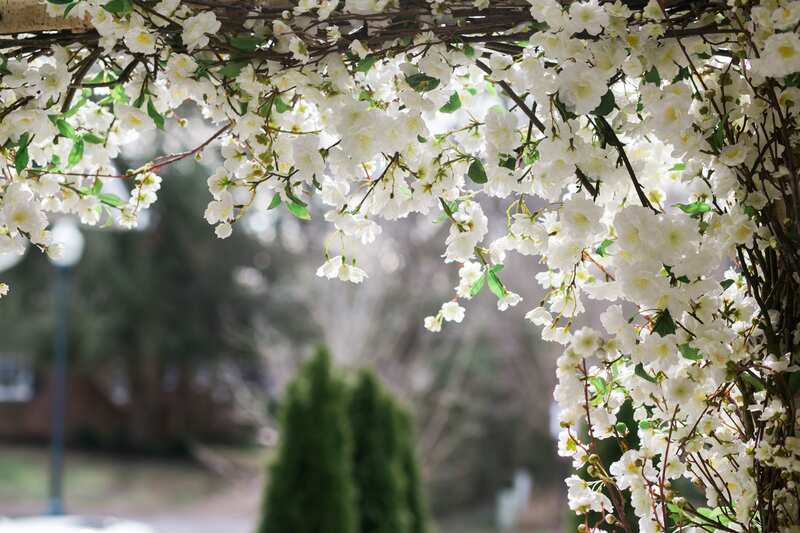 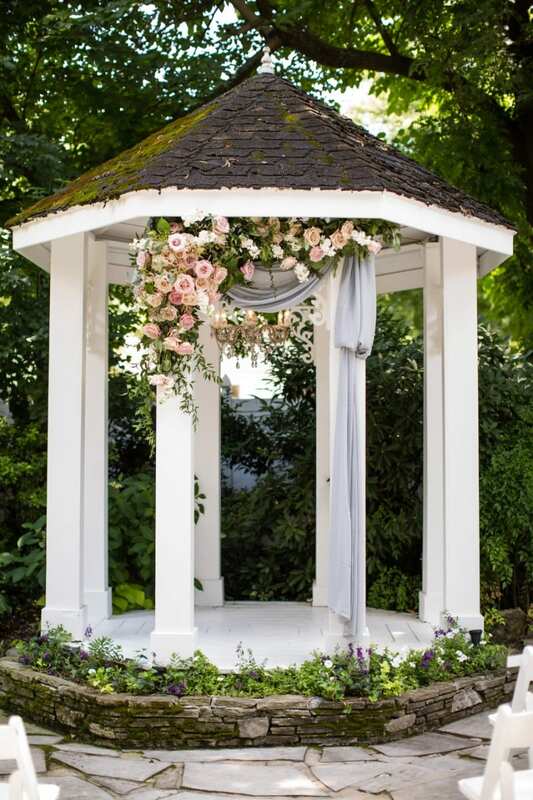 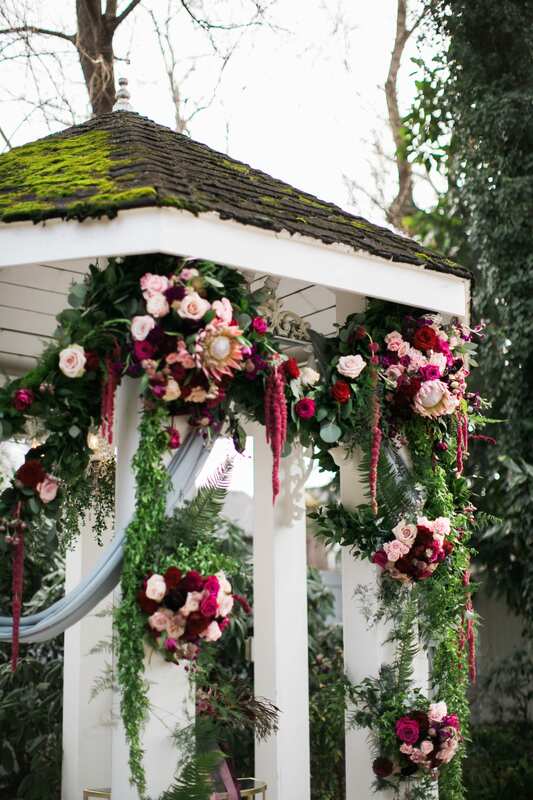 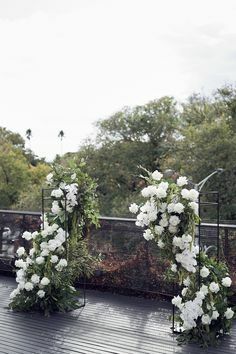 Golden hoops adorned with ivory roses, deep purple blooms, and greenery hung on the wrought iron wall, giving way the beautiful garden and event pavilion. 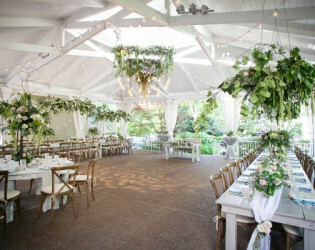 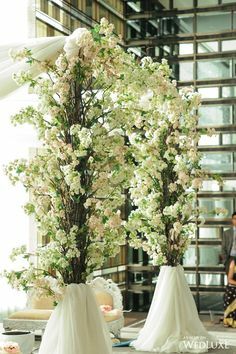 Around the garden were various cocktail tables with textured greenery in low glass vases. 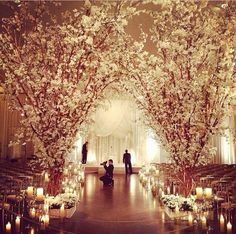 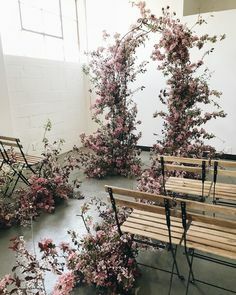 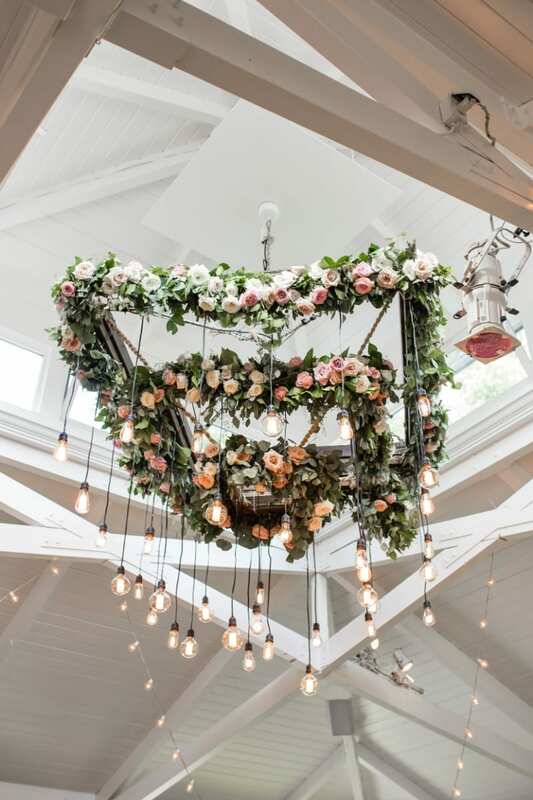 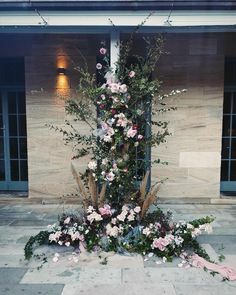 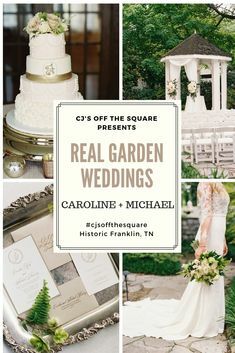 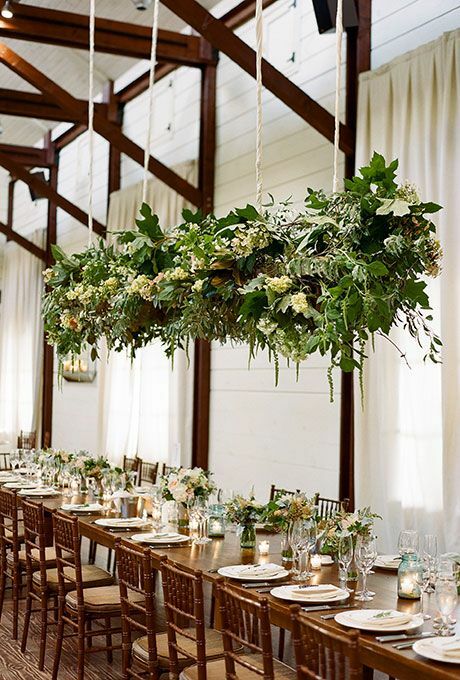 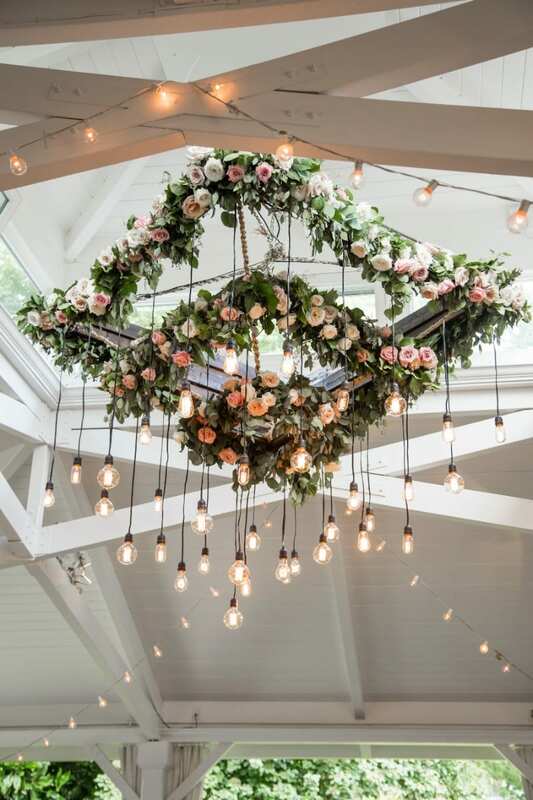 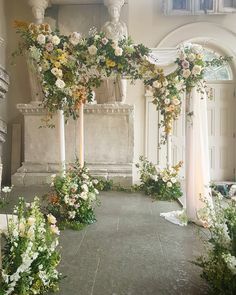 Sydney Event & Wedding Florist on Instagram: “The ceremony backdrop for J&J - congratulations to our lovely, amazing couple!!! 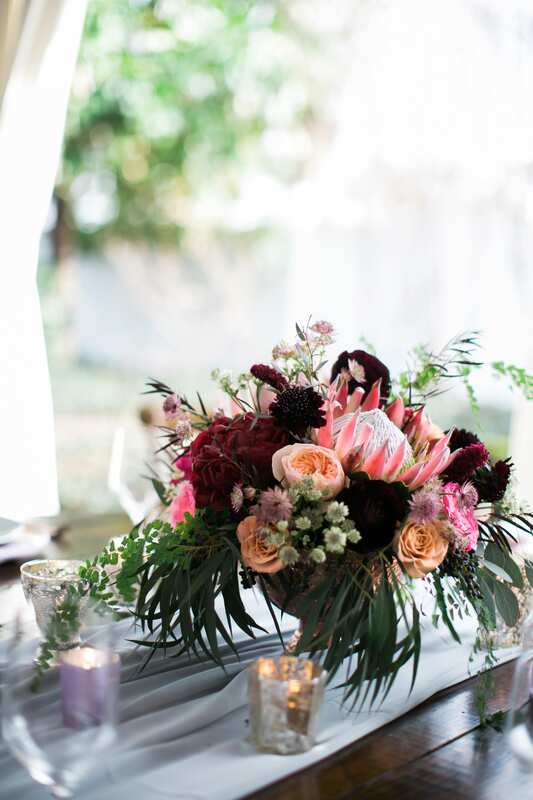 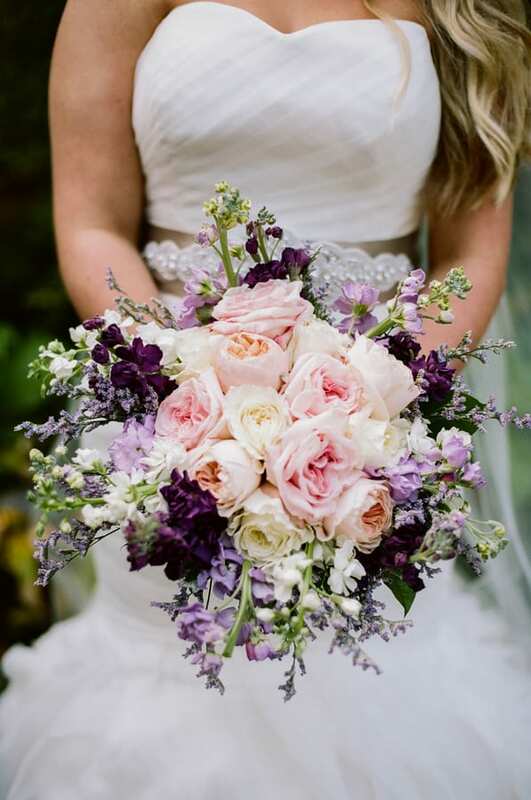 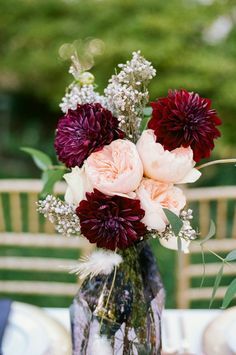 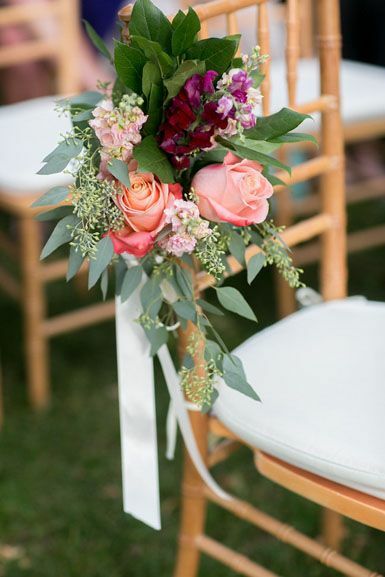 Protea was the star of this design, with its uniquely pink petals contrasting perfectly with dark purple florals and burgundy blooms. 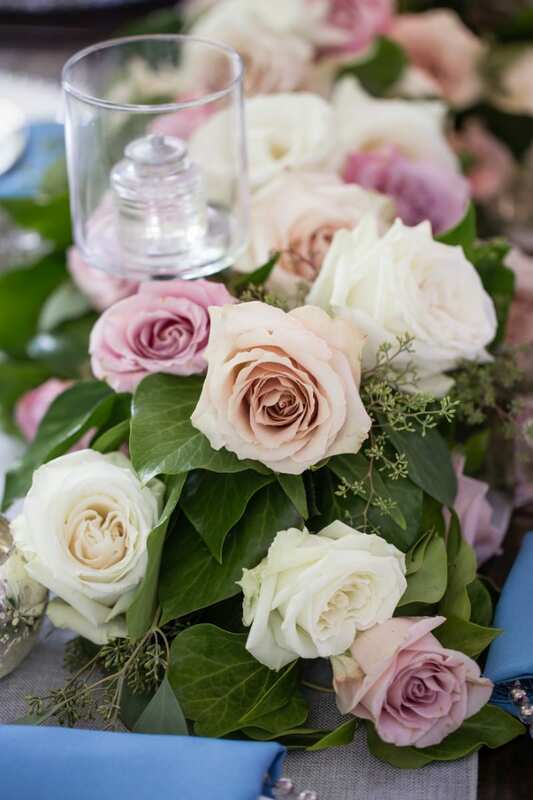 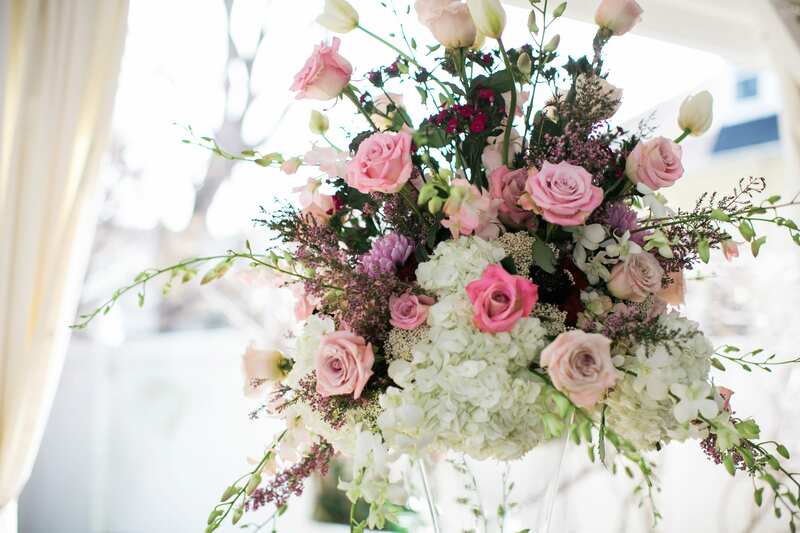 Hydrangeas, tulips, soft pink roses and wildflowers made for a winning combination – perfect for any wedding or even a bridal luncheon! 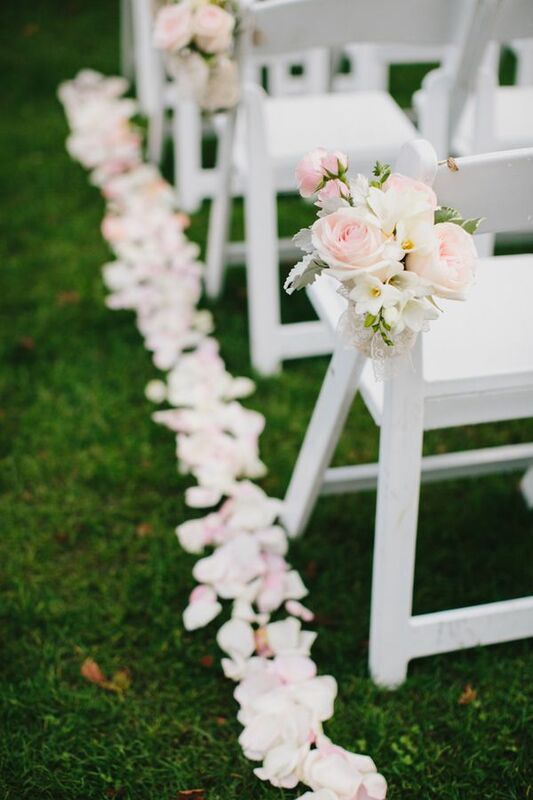 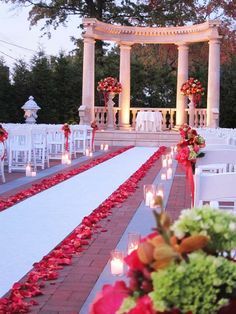 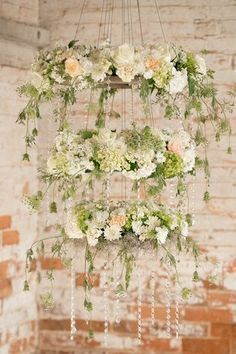 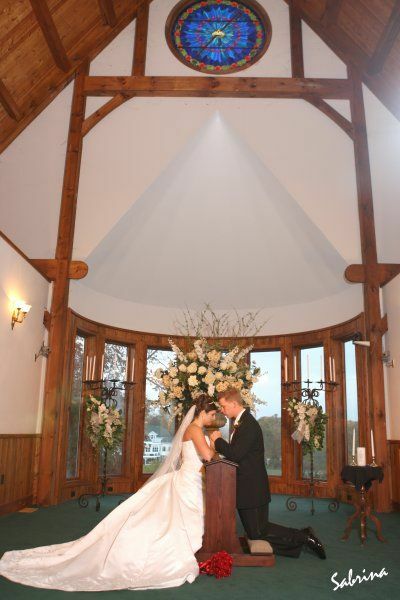 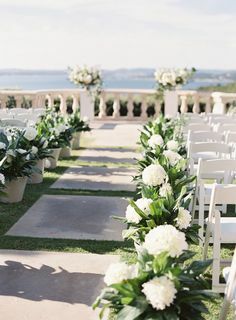 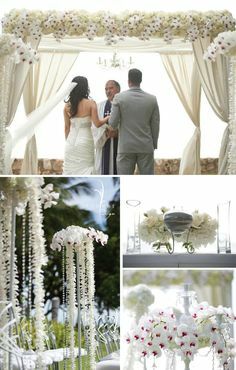 Wedding aisle runners are versatile and can be found in different styles. 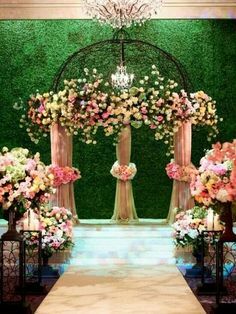 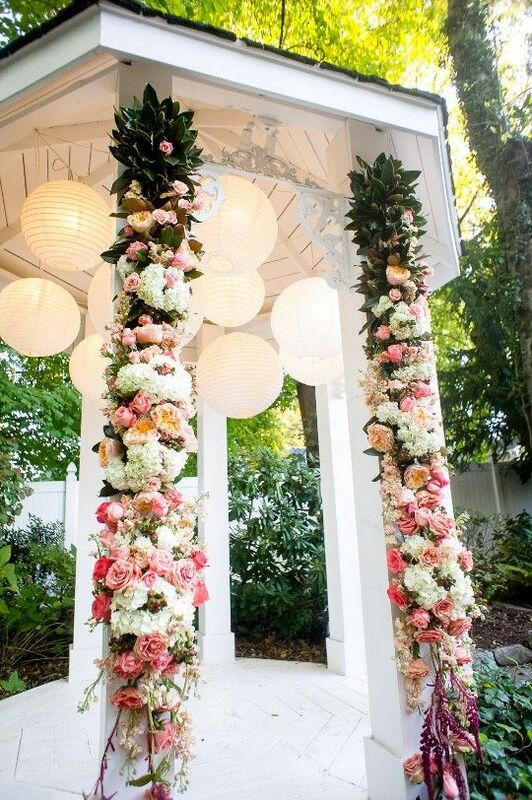 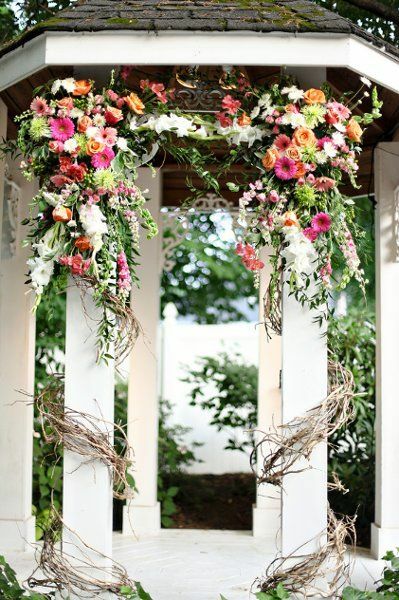 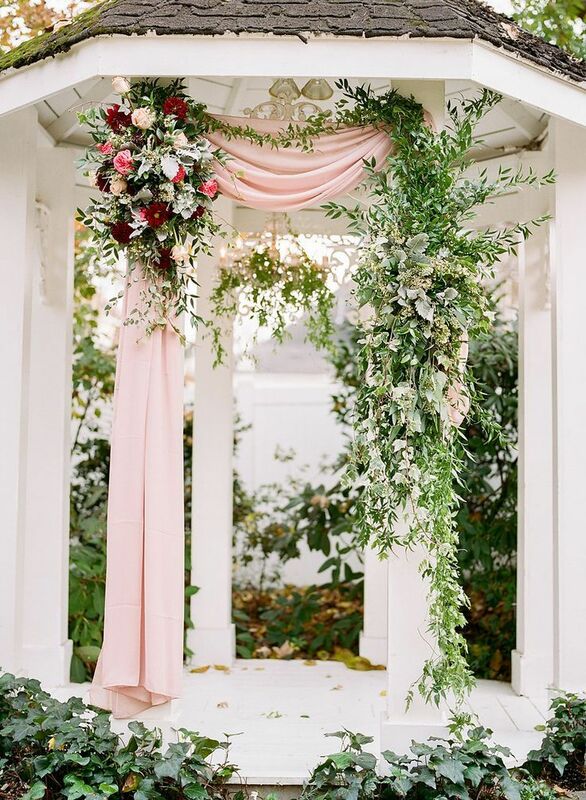 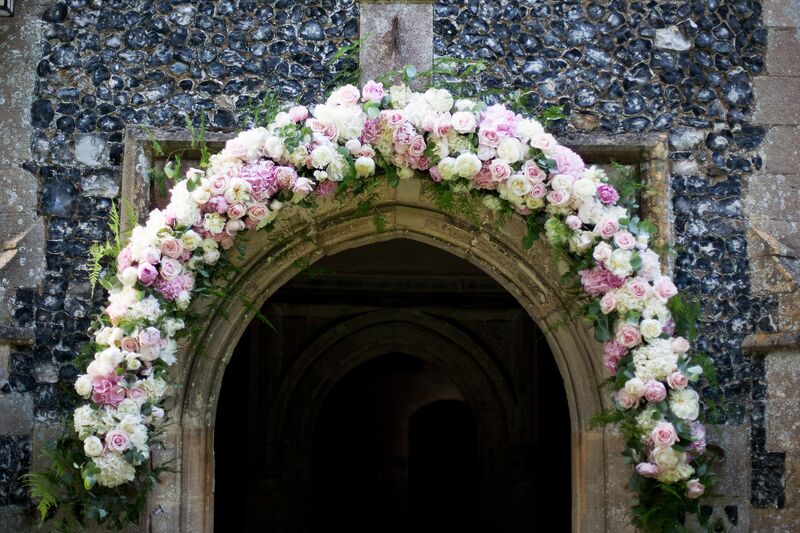 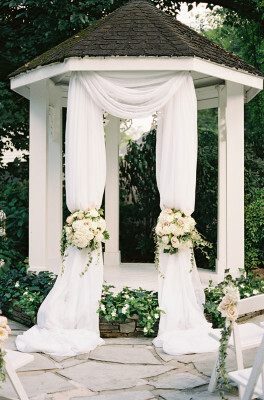 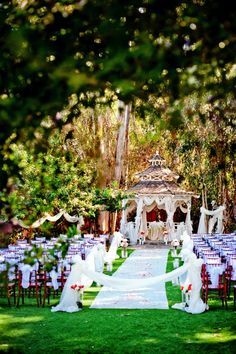 To get inspired, check out these amazing wedding aisle runner ideas. 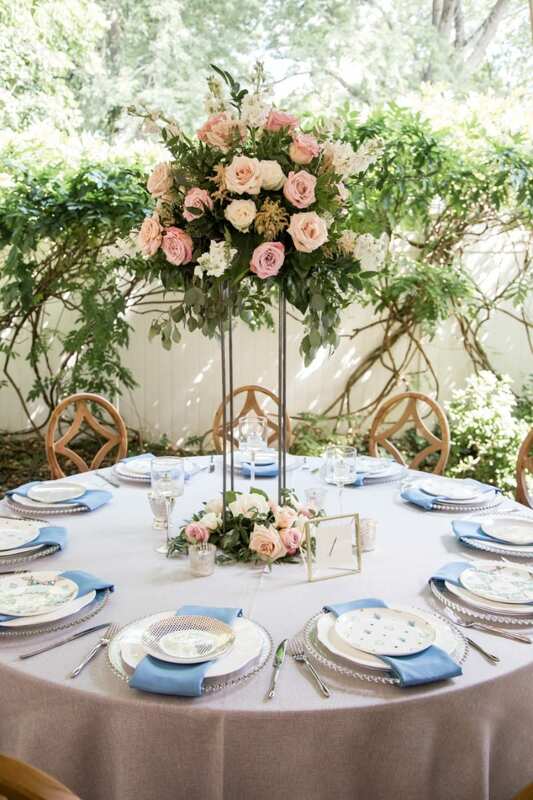 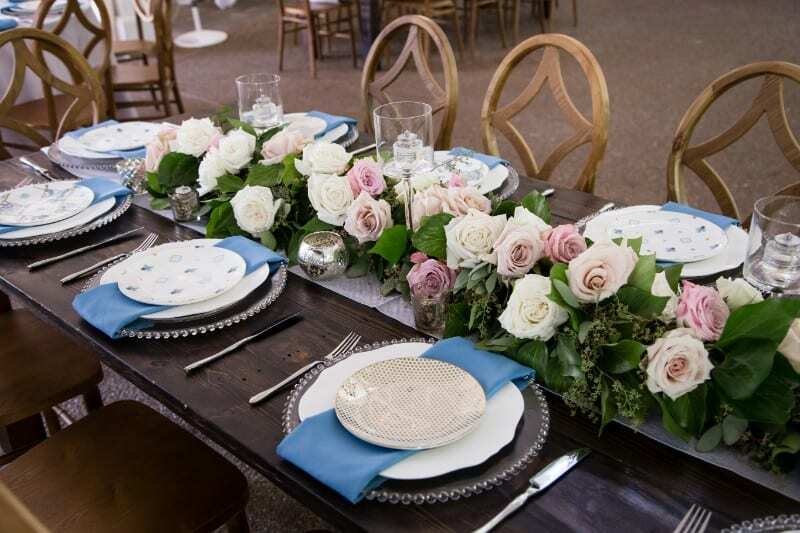 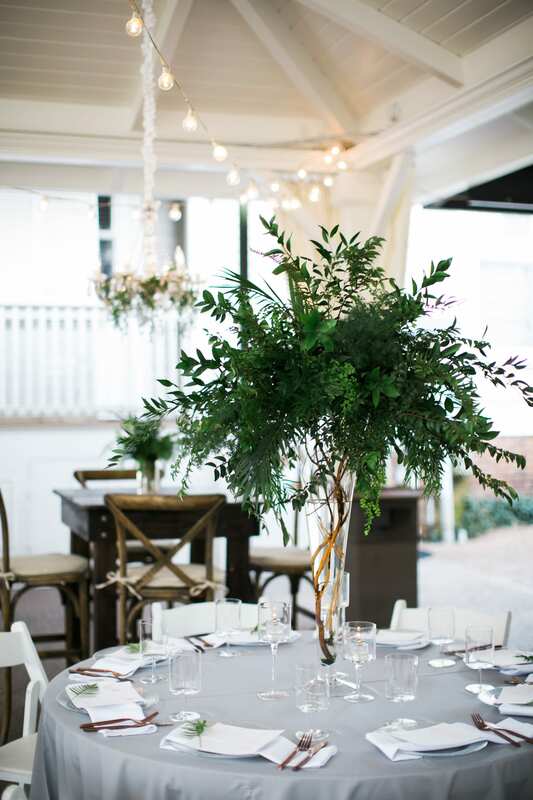 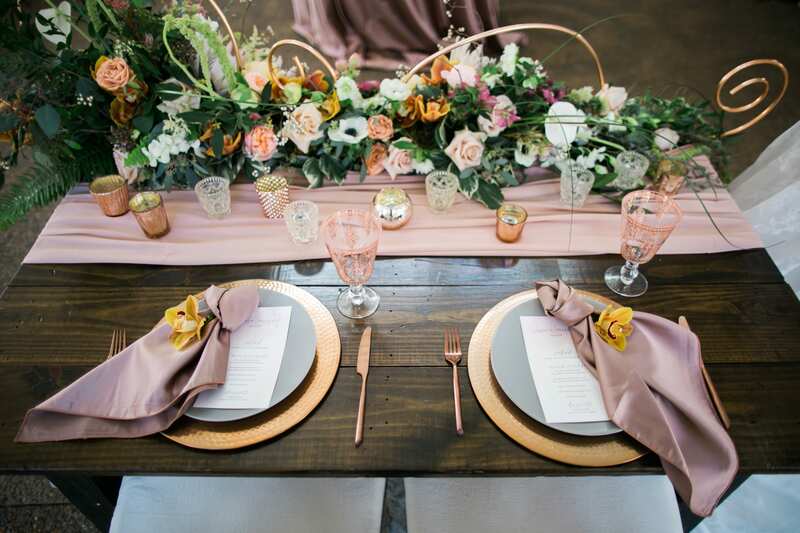 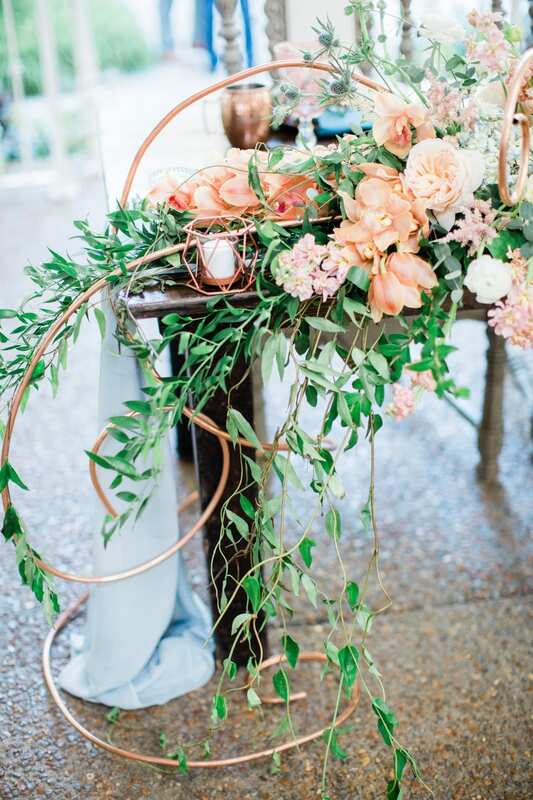 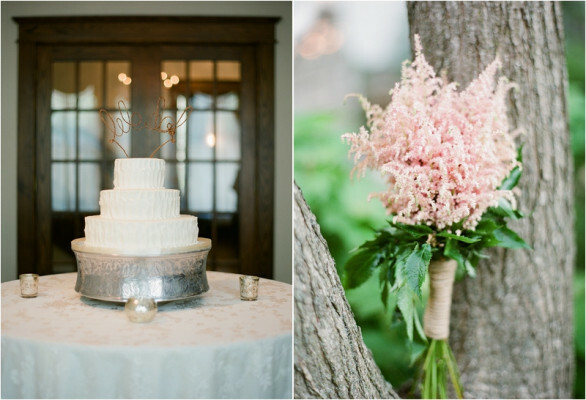 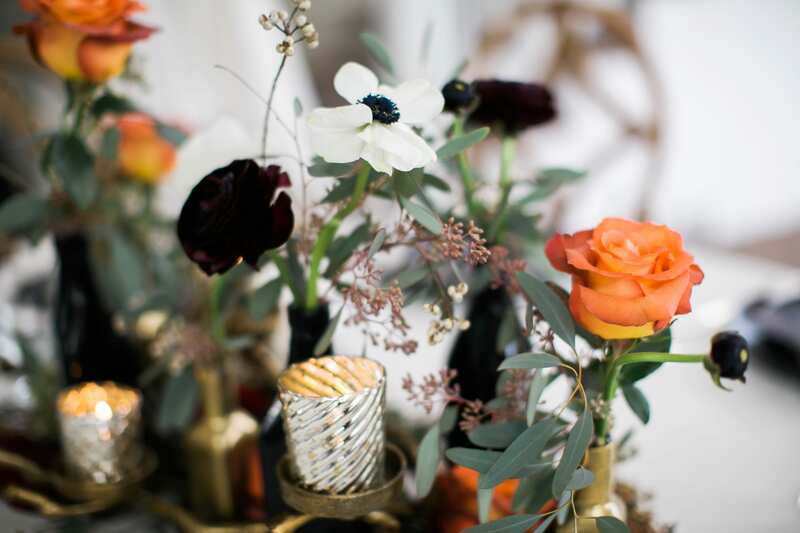 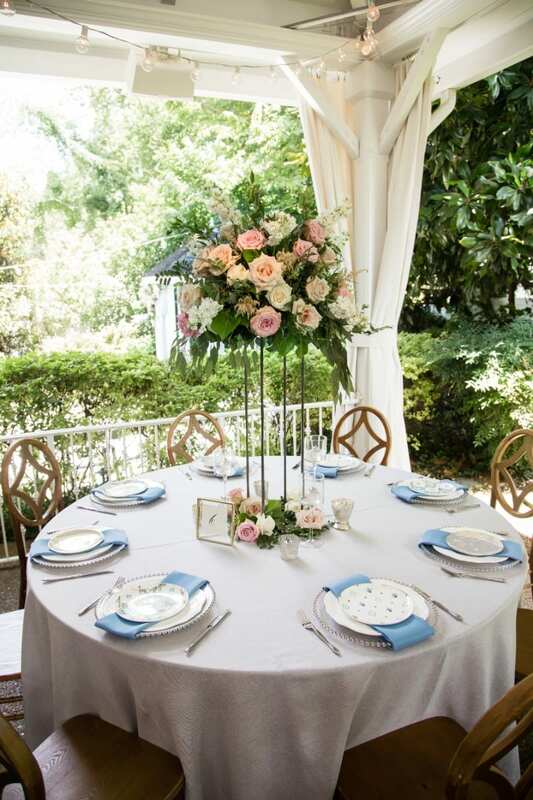 Placed in a tall glass vase and paired with copper flatware from Southern Events Party Rental, it was an enchanted tablescape, to say the least!